There has been a lot of buzz around 2010-11 Panini Totally Certified Basketball. Most of the buzz is coming from the new HRX video trading cards. 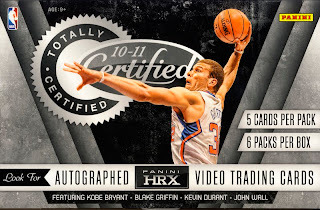 Kobe Bryant, Blake Griffin, Kevin Durant and John Wall, or as we are dubbing them, "The Panini 4" are featured on cards with video highlights, and for those cards that are autographed, footage of the actual signing of the card. But what happens once you look past the HRX cards? Does this set stand on its own as something worth owning? In short, totally. 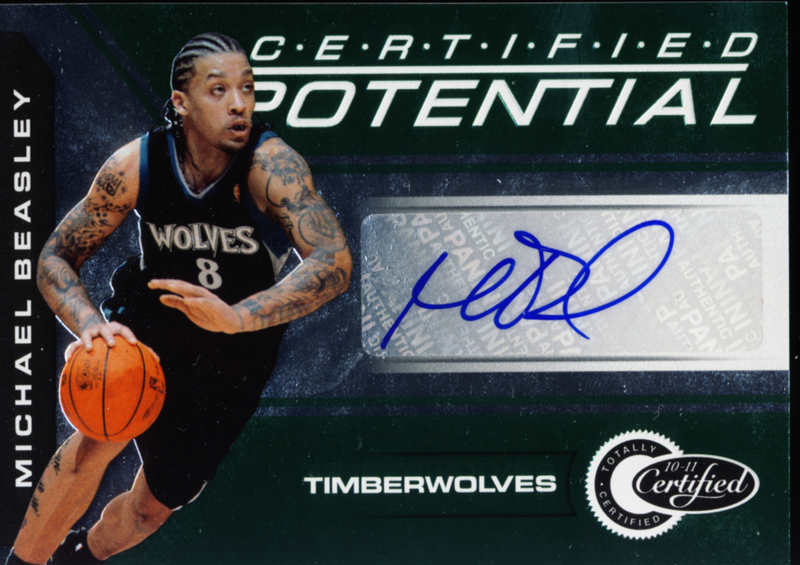 Totally Certified Basketball belongs in our premium cards category, HRX video card or not. Each hobby box contains 6 packs with 5 cards per pack. Each box contains 6 autograph or memorabilia cards with at least 2 autographs #/599 or less. 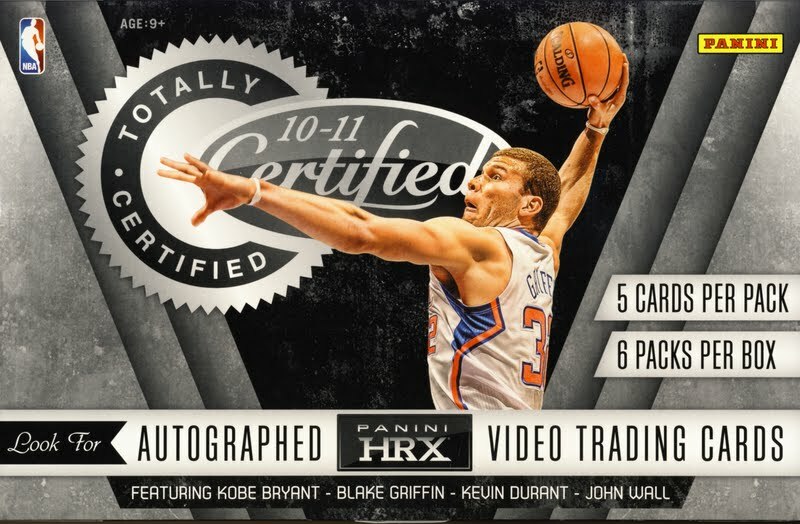 Case hits include an autograph from one of the Panini 4, Kobe Bryant, Blake Griffin, Kevin Durant or John Wall, a 1/1 card or an autographed card #/5 or less. Here are the cards we pulled from the box. 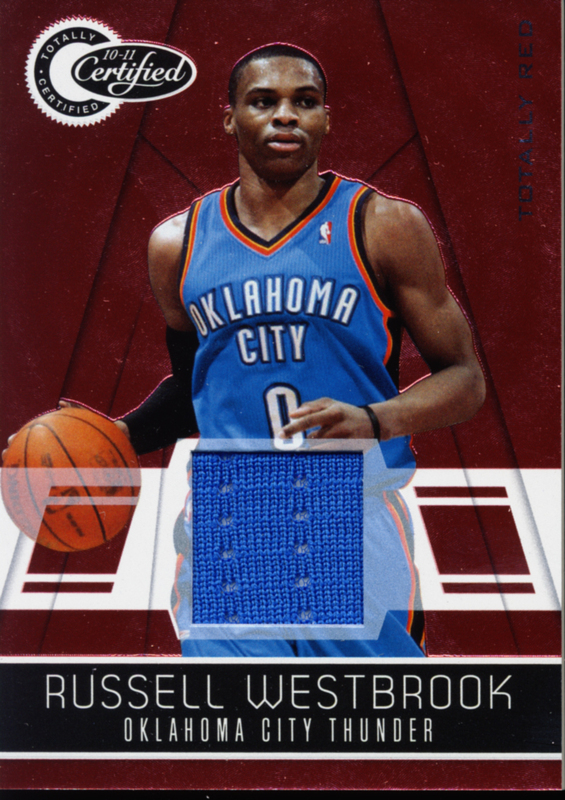 The base cards are #/1849. 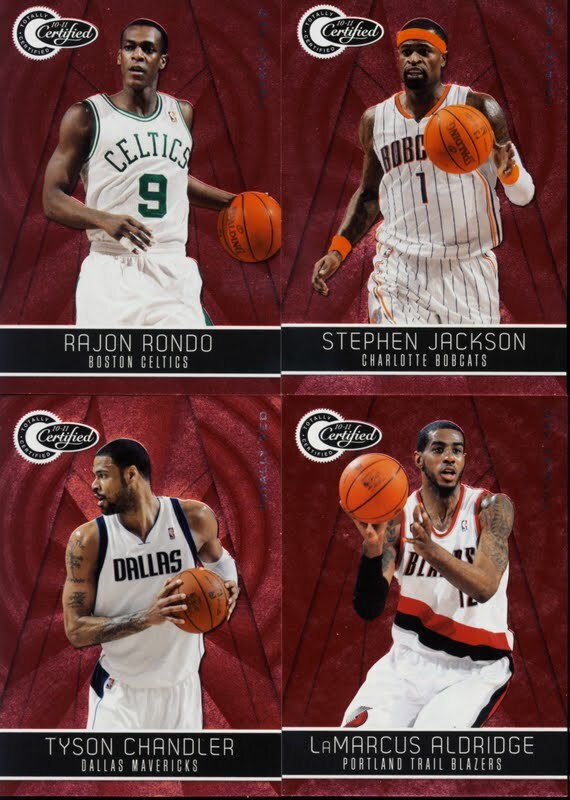 Here are the rest of the base cards we pulled. 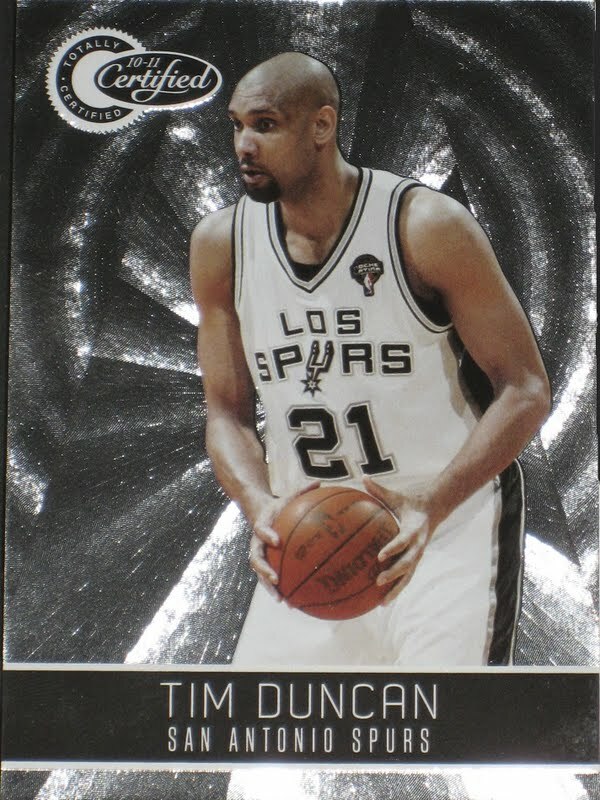 These appear silver in person like the Tim Duncan card above, but come off as somewhat blue in the scan. 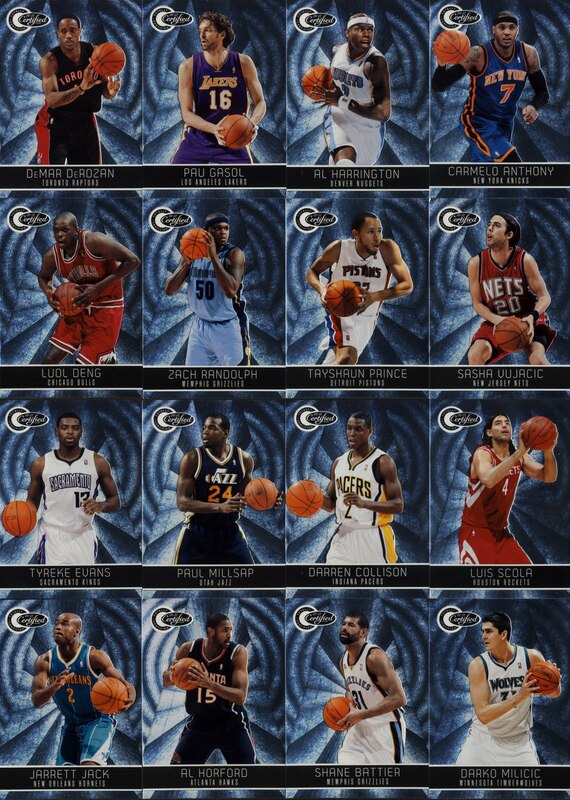 These include Carmelo Anthony and Pau Gasol. All are #/1849. 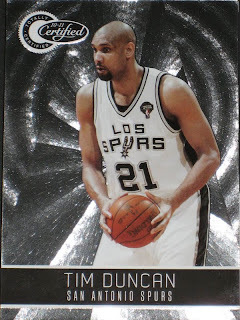 These cards remind me of the REM song "Shiny Happy People ." They are shiny with bold colors and there is something intangible about that combination that makes you happy. The checklist is a little bit of a mixed bag, but the vast majority of names on the list are extremely desirable. 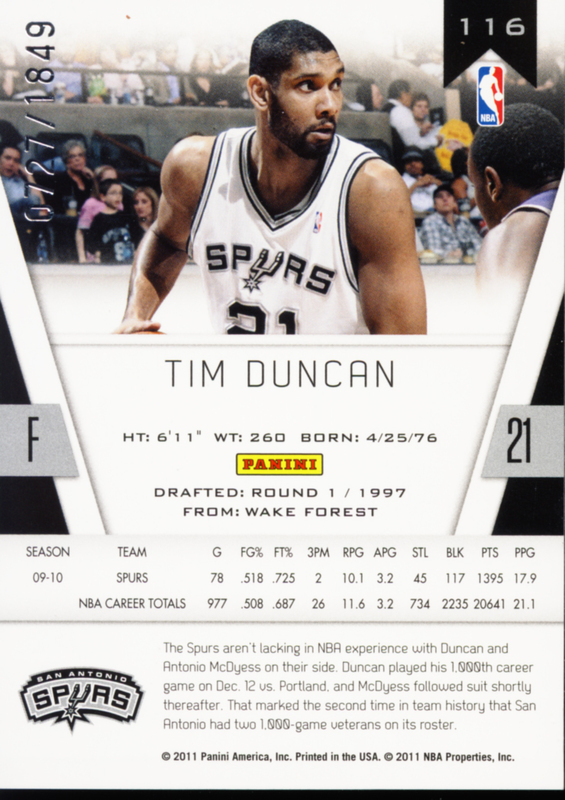 Once you get into the special inserts, the checklist becomes a roll call of amazing players. 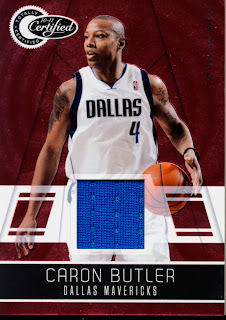 Rookie autos are on card. Every card, including the commons, are numbered. 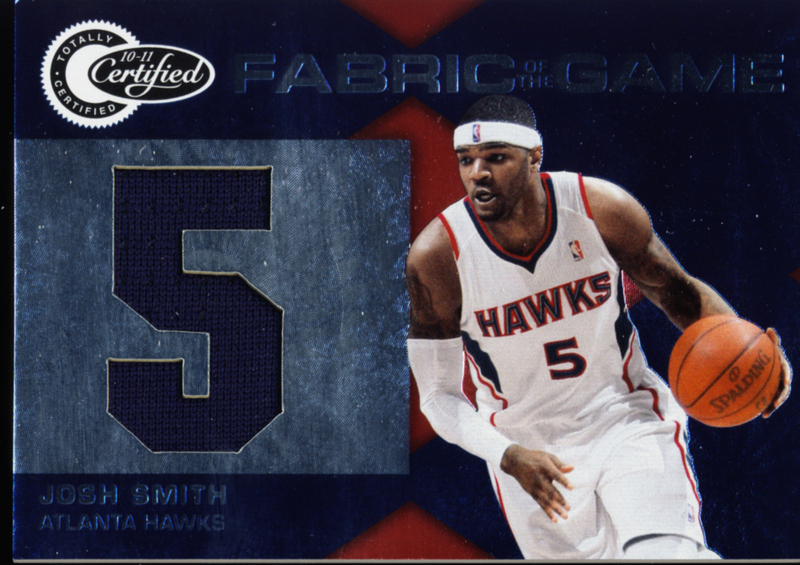 The low numbered Fabrics of the Game really compliment the colorful nature of this set. So yes... the hits satisfy. Now pull one of the HRX video cards and you'll be singing too. 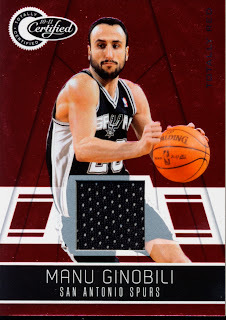 Upper end collectors will try to construct entire base sets and thrill seekers will purchase Totally Certified by the case or multiple case order. For most of us, taking the chance on one box will be easy, but don't be surprised if you feel the need to return for another one. 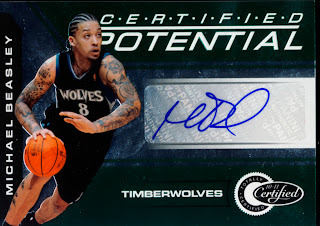 If you are interested in getting your hands on a box of 2010 - 11 Panini Totally Certified Basketball, do it now. This is the type of product that gets rush orders and then sells out, which, in turn, makes it hard to find and pushes prices up. 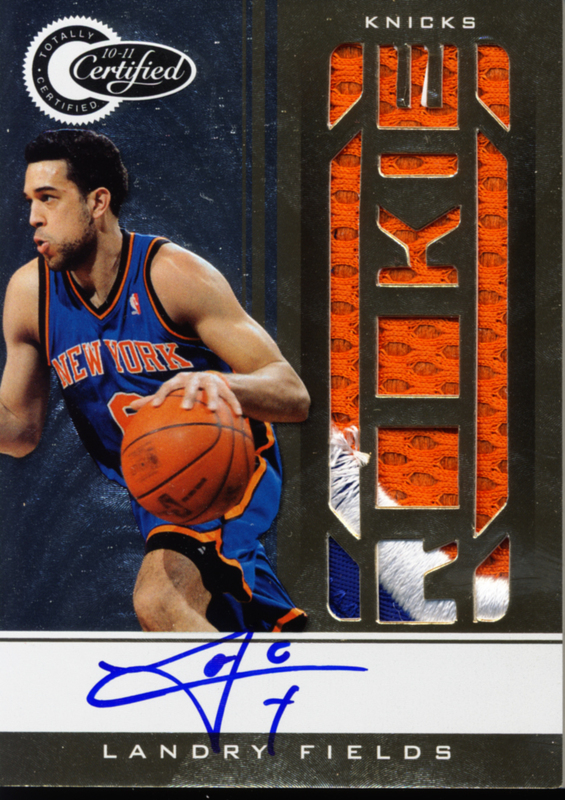 I broke a box, pulled a Blake Griffin Totally Green #/5. Pulling hits and low numbered cards from totally certified is really fun and the base are beautiful. I hope I can pull a video card because I'll definitely order some more boxes! These are absolutely beautiful. 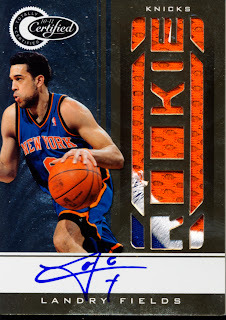 The most impressive card is the gold rookie auto. This is something I might pick up.